Venice Museum Pass: One Reservation for 11 Museums!!! Just one ticket to see 11 museums at a SPECIAL PRICE and WITHOUT STANDING IN LINE! Which museums are included with the Venice Museum Pass? St Mark’s Square Museums (Piazza San Marco): Doge's Palace, Correr Museum (includes temporary exhibitions), Archaeological Museum, Monumental Rooms of the Marciana Library. 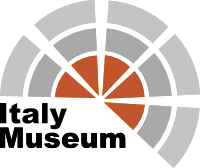 Venice Civic Museums: Ca 'Rezzonico, Palazzo Mocenigo Museum, Casa di Carlo Goldoni, Ca' Pesaro, Murano Glass Museum, Burano Lace Museum, Museum of Natural History. The Venice Museum Pass does not allow access to the Secret Itineraries of the Doge’s Palace, Palazzo Fortuny and the Clock Tower. One Reservation for 11 Museums!!! Rates include Venice Museum Pass, pre-sale fees (0,40 Euro) and online service fees (8,00 Euro). NOTE: the Venice Pass allows one single entrance for each museum and can be picked up in any one of the Venice museums listed on the list. It is valid for 6 months. The Venice Museum Pass allows the entry at any time during the opening hours of the museum. The cancellation must always be communicated in writing (e-mail or fax). If a cancellation is 4 days before the day of the visit, the cancellation penalty is equal to 6.00 euro per ticket. As soon as we receive your booking request, your Venice Museum Pass will be booked. The original voucher will be mailed to the email address you provided, so be sure you insert your email address correctly. The original voucher is the only recognized document at the museum entry. The procedure may take a few hours. In case the order is submitted on a Saturday, after 12.00 pm or on a Sunday, vouchers will be sent on Monday morning. In case the order is submitted after 6.00 pm (Italy time), the voucher will be sent the morning after, except for Saturday afternoon and Sunday. In this last case the voucher will be sent on Monday morning anyway. TuscanyAll is not responsible for eventual changes or cancellations to the programs offered. 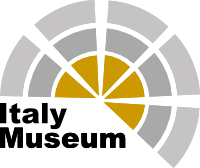 For the Venice Museum Pass, a service charge equal to € 7,50 is added to the price of each ticket purchased online through TuscanyAll. There is a service charge for every further modification at your reservation. Please note you'll be asked to show a document of identification at the museum entrance, especially if you have booked reduced price tickets or free tickets. Why visit the Museums with the Venice Museum Pass? Doge’s Palace, with this pass you can visit the six rooms of the Museum of the Opera, in addition, you can admire the view of the courtyard towards the picturesque Staircase of the Giants (Scala dei Giganti) and you can visit the upper rooms of the palace where you can find the beautiful ambiences of the Doge’s Apartment and the Institutional Rooms that are extended through the three floors of the palace. To finish your tour you will visit the Prisons and the Armory composed by more than 2000 pieces. Correr Museum offers a variety of itineraries starting with the Neoclassical rooms where the works of Antonio Canova are located to the rooms where the Empress Elisabeth of Austria once lived. With this pass you can visit the rooms of the New Attorneys' offices with their wonderful collection, without leaving aside the 19 rooms of the Gallery. National Archaeological Museum, this pass will allow you to appreciate the large collection of antiquities such as the Greek sculptures of the 5th and 4th centuries BC, as well as the beautiful Griman Collection. Also the numismatic collection, portraits of Roman times, ceramics, gems and ivories. Marciana Library, admire this wonderful library built by Jacopo Sansovino characterized by richly decorated halls made by great personalities such as Tiziano Vecellio, Tintoretto and Paolo Veronese. It currently houses precious manuscripts such as the sixteenth-century Breviary Grimani and Fra Mauro's Globe, as well as several older editions. Ca 'Rezzonico, this beautiful palace houses paintings, sculptures and furniture from the 18th century with paintings by Canaletto, frescoes of the Villa Zianigo by Giandomenico Tiepolo, and the Egidio Martini Art Gallery. Palazzo Mocenigo Museum is a palace located in the neighborhood of Santa Croce venue of the Center for Studies in Textiles and Costumes, has expanded its offer to visitors with new areas dedicated to perfume. This palace is entirely decorated with well preserved frescoes on the noble floors. Carlo Goldoni’s House is located on the first floor arranged in three rooms with paintings, furniture, illustrations of the comedies and Goldoni's explanatory panels, the life and work of Carlo Goldoni, the context of the theater and Venetian society of the XVIII century. Ca 'Pesaro, this International Gallery of Modern Art houses sculptures and paintings from the 19th and 20th centuries by artists such as Kandinsky, Klee, Klimt, Chagall, Matisse, as well as Italian artists such as Morandi, De Chirico, Boccioni and many others. Murano Glass Museum, Murano glass is a symbol of craftsmanship, creativity and beauty. For centuries, the island of Murano has been the center of production and trade of glass artifacts. Burano Lace Museum, it is estimated that the first lace of Burano dates from the year 1500. The realization of the lace was carried out exclusively in noble houses, using needles and threads without the support of a canvas. Museum of Natural History, this enormous scientific heritage includes a botany section, a zoological, a land science (with minerals, fossils and rocks), as well as collections of anatomy, archeology and more. Did you know that the Venice Museum Pass is valid for 6 months and can be used from the date of the physical withdrawal of the pass in any of the museums included in the circuit? Did you know that during spring and autumn the so-called "acqua alta" (high tide) takes place? In these two periods of the year, the tide rises twice a day completely flooding the San Marco Square. Even though Venice is a wonder in itself, it has certain attractions that you can´t miss and that will make your experience unforgettable. The most characteristic of Venice are its beautiful canals that run through the corners of the city as if they were streets. The biggest and most important of all is the Grand Canal. Along its banks we find several attractions that deserve to be visited, such as the Accademia Galleries of Venice. This gallery houses the works of his students who were the origin of the gallery that currently preserves one of the largest collections of Italian art and is one of the most important tourist destinations of the city.